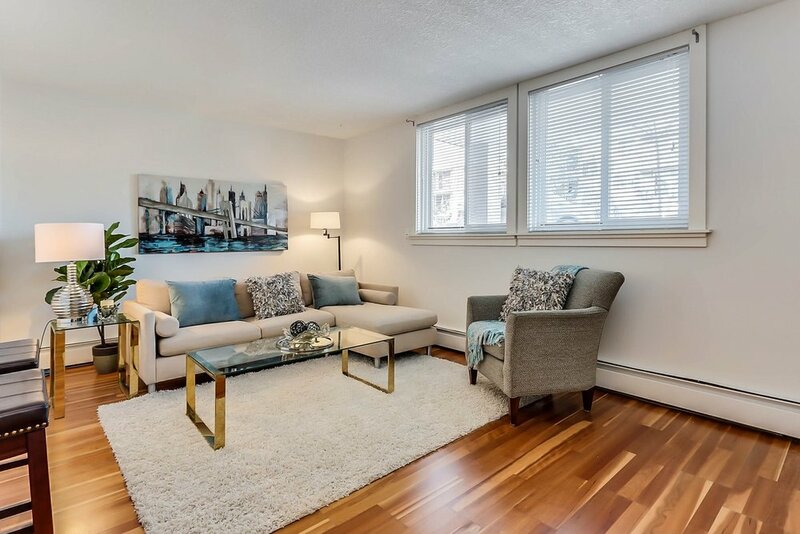 Meet KENZIE - The trendy two bedroom condo with all the upgrades buyers want! 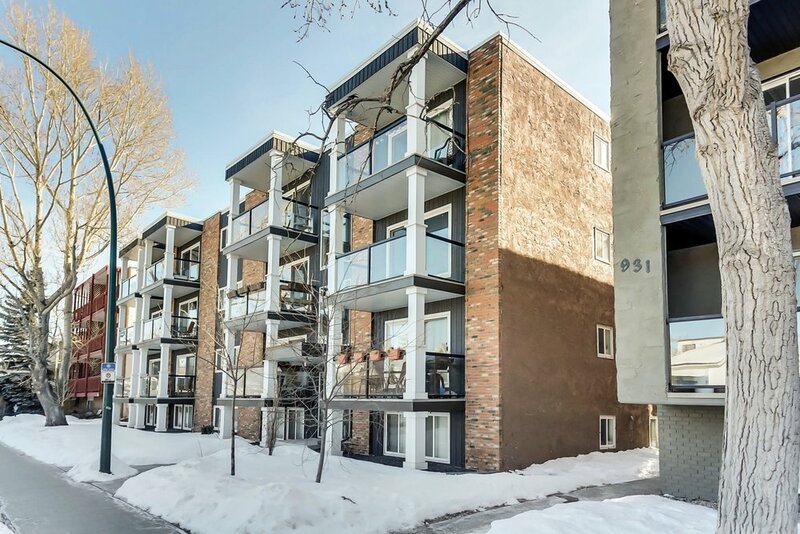 Perfectly located in the heart of the inner-city community of Sunnyside. This stylish two bedroom, one bathroom condo is absolutely perfect for the first-time buyer or investor. The kitchen features all stainless steel appliances, maple cabinets and granite complete with an eating bar. The large bright living room is perfect for hosting your friends before a night out or just spending the night in with the cozy fireplace. This condo comes with the convenience of IN SUITE LAUNDRY and assigned parking. You'll be walking distance to all the best shops and restaurants that Kensington has to offer. Enjoy your short one block walk to the Sunnyside LRT station, which will make commuting to work or school a dream. Don't miss this opportunity to live in one of Sunnyside's best looked after and run buildings. Recent upgrades include the unit being completely painted, new blinds on all windows and a brand new fridge.